No DIY project makes a home feel quite as homey as a good quote sign. Not only that, but DIY signs are super easy to create no matter what kinds of crafts and DIY skills you enjoy! Paint a sign? Sure! Wood burn a sign? Absolutely! Use your cricut? Why not?! That said, there’s something challenging about finding the right quotes for your space and your personality. I realized this when I was looking for laundry quotes to make a sign for (you guessed it…) our laundry room. 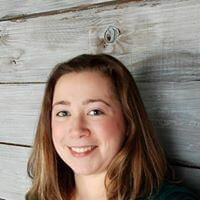 So I collected all the quotes I found and and now I’m sharing the list with you so you! 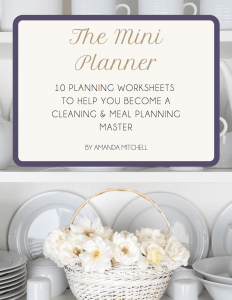 I hope this list makes finding a good quote for your laundry room sign simple and easy! 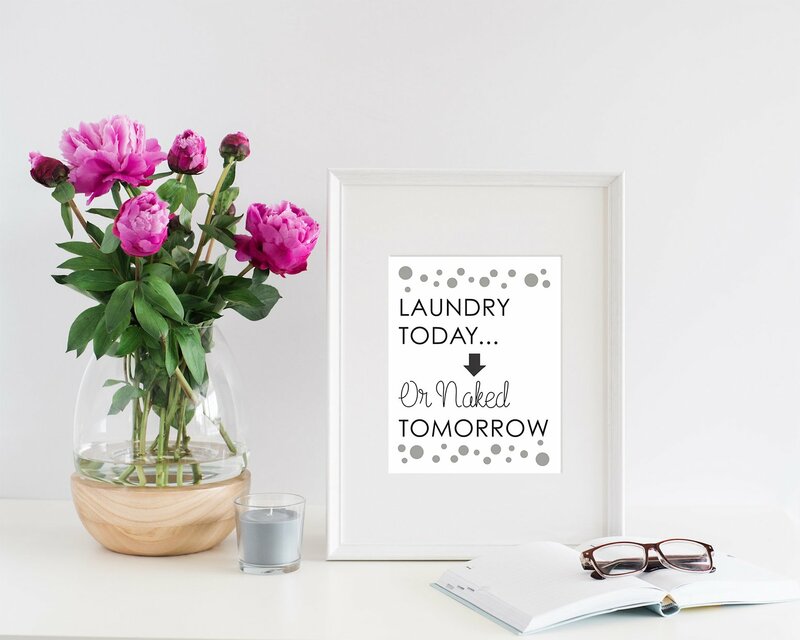 If you’re looking for a super easy sign to put together, check out our shop with printable laundry room quotes that you can simply frame and hang! Like this laundry room sign? Grab it in our store! 6-) The laundry room…for same day service, do it yourself! 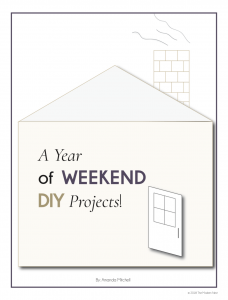 Get a Year of Weekend DIY Ideas! 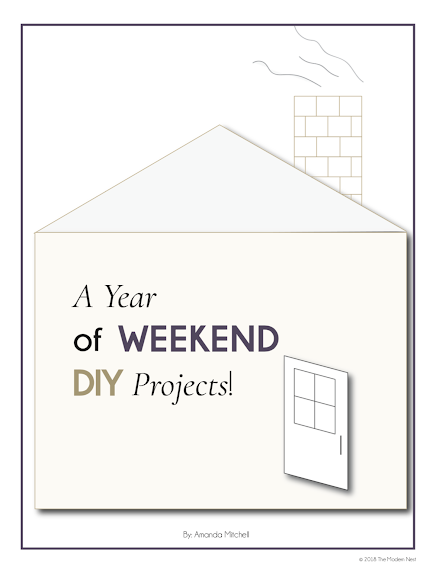 Join our email community and get immediate access to my cheat sheet full of DIY ideas you can complete in a weekend! If you want to make your home beautiful and functional but don't have a lot of time to do spare let this collection of ideas inspire you! 20-) Wash. dry. fold. repeat. 22-) Today I will be thankful for the endless loads of laundry. For there will come a day when the basket is empty and and these days will be greatly missed! 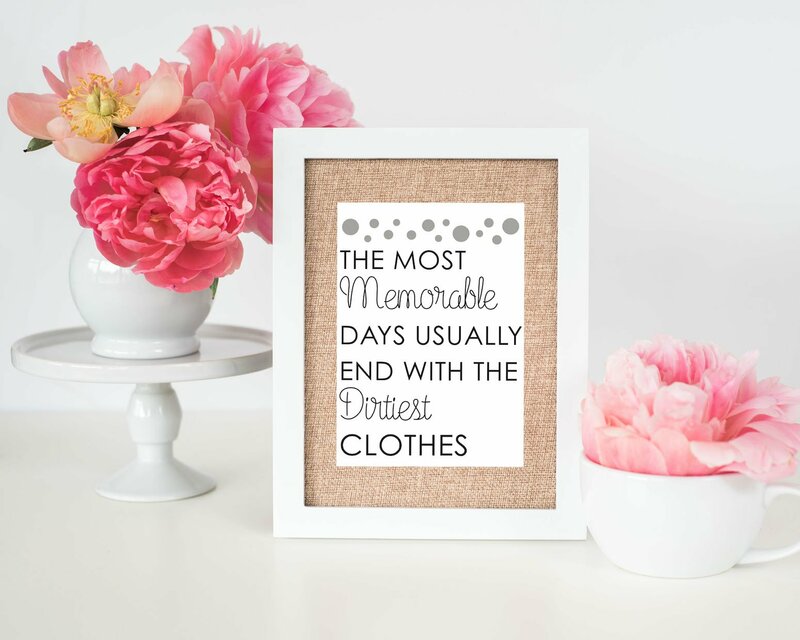 There you have an epic list of laundry room quotes for your DIY laundry room sign! For more DIY project advice and ideas, check out the DIY craft corner bar, DIY farmhouse mug and measuring spoon holder, and DIY growth chart ruler! Some of these CRACK ME UP! So funny! Thank you for making this.